Melbourne is an awesome place to be, but being in a city with four million other people can sometimes make it a bit of a challenge getting around. Never fear, though — this great city is well equipped with transportation options to suit everyone, so there is always an easy way to get to where you need to go. The following are some great ideas for making getting around Melbourne a piece of cake. As with any big city, finding somewhere to park that won?t cost you the earth is a bit of a challenge, but it’s even more of a hassle if you have a huge car. Unless you need it for work, there really is no advantage at all to having a large vehicle in the city, so get yourself something smaller and make sure you invest in a car service for it regularly. A reliable little car is a godsend in Melbourne where sometimes the only places to park are tiny spaces. 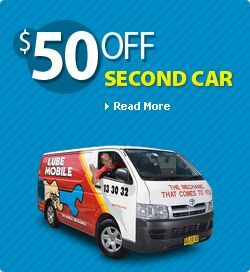 So get yourself something small, look into getting regular car service in Melbourne to avoid those horrible rush hour breakdowns and you?ll find getting around this awesome city has never been so easy! Whilst many people would advise you to never drive your car during fog, it might not be always at practical option for you. Having your vehicle regularly serviced by qualified car mechanic will ensure that you have a vehicle which is safe and reliable at all times, but in emergencies you will need to call upon your own skill to keep yourself safe. This is certainly the case when it comes to driving during storms, snow or when there is fog about. As you know, fog can be quick to descend and whilst you may be driving in clear conditions one moment you may soon find yourself in a thick fog where driving conditions are less than optimum to say the least. That’s why it’s important to have sufficient driving skills to get yourself out of a problem should this occur. Making sure your vehicle is in the best condition through a regular auto service is the commonsense approach to vehicle maintenance and safety. A well maintained vehicle gives you peace of mind you need as you drive around town as well as maintaining the value of your vehicle. When we are learning to drive, our mind becomes an open book as we absorb hundreds if not thousands of pieces of information about the vehicles operation and the way we should use it. Once we obtain our drivers licence however it is easy to forget some of the more pertinent safety issues especially when it comes to hot danger spots around most cities. The most notorious danger spots are Railway Crossings and, unfortunately, most drivers are not aware of the proper procedures which should be adopted. Although you may take your vehicle in for a regular car service to keep your car in tiptop condition, you still need to take extra preparatory steps to drive safely in times of flood. In fact, it takes a special set of skills to drive carefully in these dangerous conditions and many drivers are ill-prepared or in some cases reckless. A flooded road can be extremely dangerous for motorists and during a heavy storm flood conditions can emerge relatively quickly. It is one thing to avoid a flooded area after a storm has occurred, but it is quite another skill to drive during heavy weather and avoid potential dangers. Newspapers are filled with reports of drivers who become stranded in Flood conditions, sadly many could have been avoided through safer driving techniques.